NetSuite, a worldwide leading provider of cloud based business management software, helps companies manage their core business processes. Having worked with the company ten years ago, when they were in high growth mode, we were excited to see their evolution and to be selected to revamp the corporate headquarters. 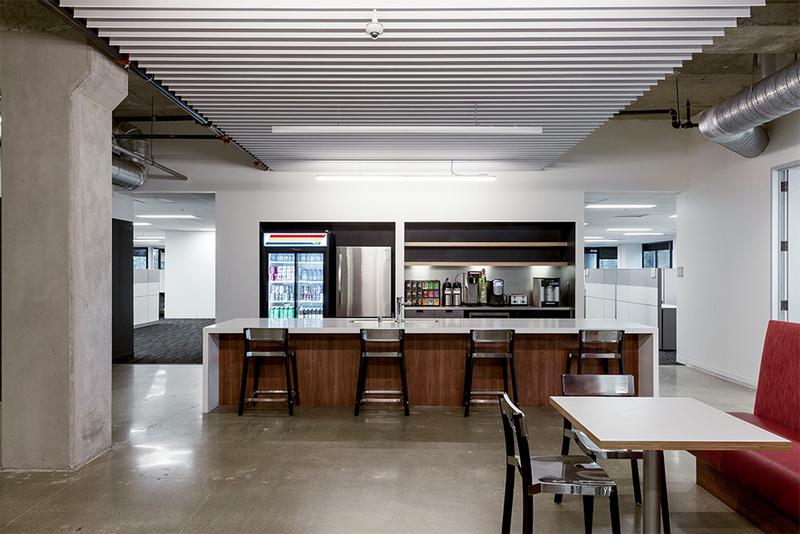 Principal Builders was brought in to give their teams an updated work environment in 60,000SF at their San Mateo location – an exciting assignment, and one we didn’t take lightly. They asked us to create an environment with collaborative, bright and open workspaces and where the company’s core values could be reflected back through modern design and materials. Both NetSuite and architect RAPT Studio wanted to take full advantage of the spectacular views by having open workspace at the view side of the building, so that the space created was full of natural light. We focused our efforts on adding conferencing/huddle rooms and collaboration spaces throughout. Whenever work is being done in an occupied space, there are constraints. In this case a portion of the work was completed on a floor where people work – so it was important to be sensitive to noise, odor and security concerns, while maintaining the schedule commitment and staying on budget. When you can share ideas with a client who is open to bolder creative thinking, you end up doing the best work. Some highlights included 9-wood ceilings, metal baffle ceilings and herringbone carpet tiles using 26 different colors. We installed features and standards that are now being implemented across the globe. We also collaborated with the in-house teams to upgrade data infrastructure and AV systems.